Draw at least one item in each room of the house. 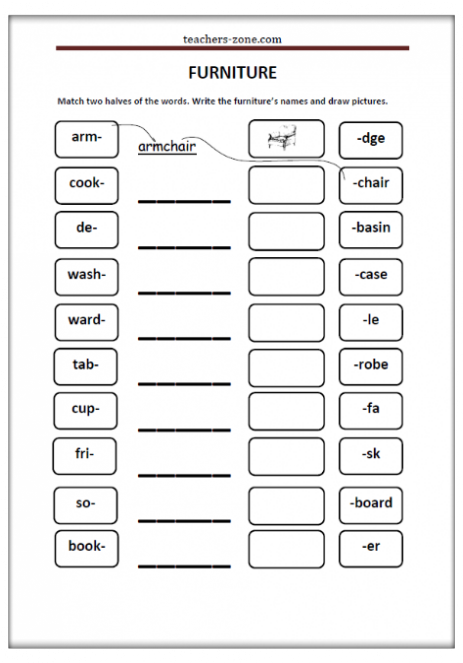 House Pairs - cut out the cards and match two halves of the words. 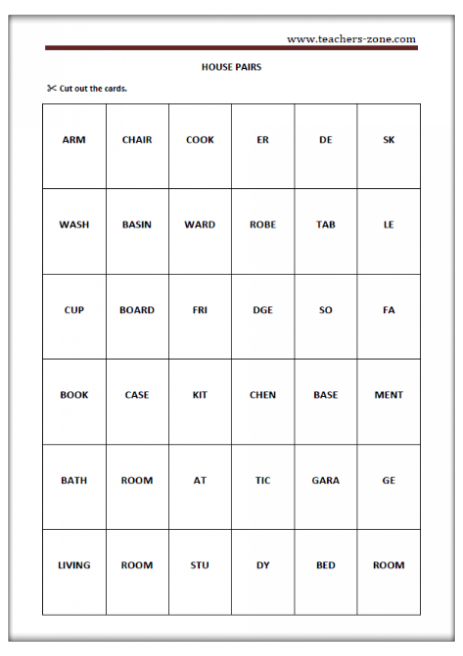 Match two halves of the words. 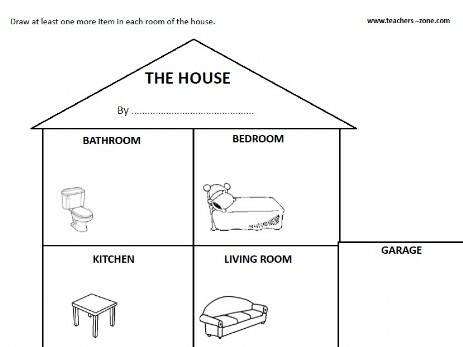 Write the parts of the house. Match two halves of the words. 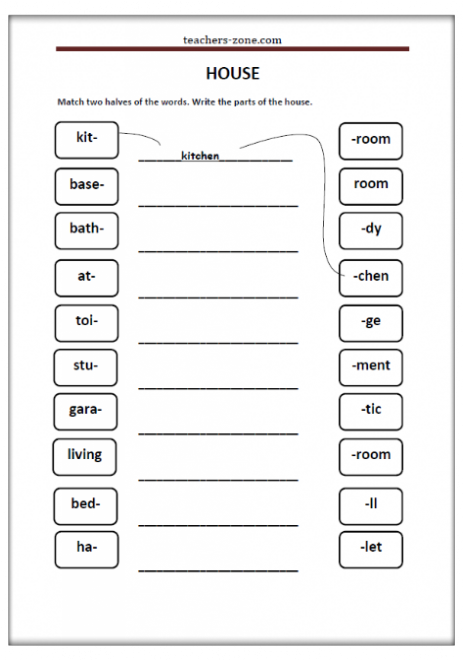 Write the furniture's names and draw pictures.